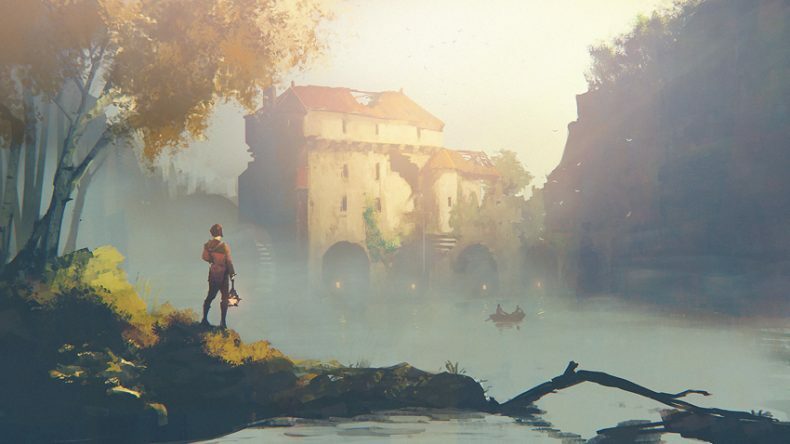 The last time I saw A Plague Tale: Innocence was a year ago and the only thing the developers had to show was a prototype of the game they wished to create. The tech was already there and it looked great, but an actual game hadn’t yet been fully formed. Now, 12 months later, I’m happy to report that it seems as though progress is being made quickly and the game is now taking shape. They even fixed the annoying English accents in a game set in Southern France, which is a big plus from me. So in this hands off preview I got to see an actual level that will be in the game, Chapter 5, which sees our characters rowing their way down a river through the war torn country side. You play as 15-year old Amicia, who is looking after her 5-year old brother Hugo, and they are both accompanied by a teenage boy called Lucas. The trio are trying to get to safety and having abandoned their raft they’re following an aqueduct on foot which will lead them to their destination. Not long goes by, however, until the effects of the war between France and England become apparent. They stumble upon a battlefield that is littered with rotting corpses of man and animal. Amicia takes Hugo’s hand and they slowly step their way over maimed bodies when a horrifying rumble begins. An army of blood thirsty rats burst out of a dead horse and now the danger is really here. The rats themselves are just as grim and minging as when I wrote about them a year ago, as seemingly thousands of them scurry about in the mud with their beady glistening eyes and revolting tails. ASOBO studios should be really proud of the horror they’ve created there. 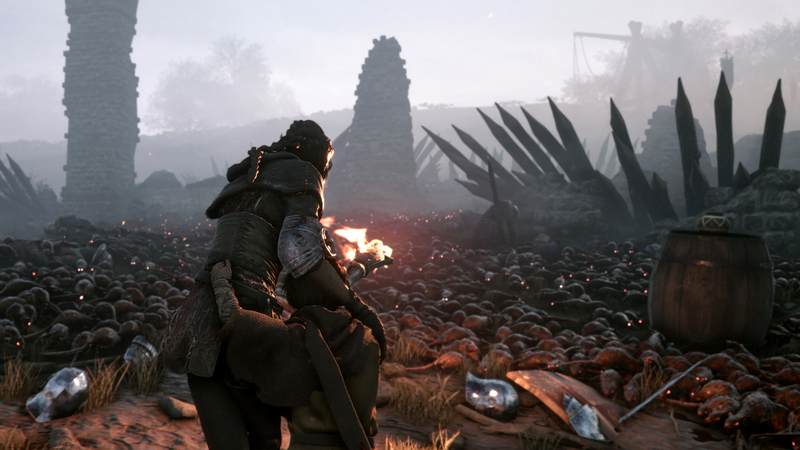 This is when the main gameplay of A Plague Tale comes in: a puzzle game in which you have to safely navigate your way around ravenous rats and soldiers who’ll do your harm. Amicia has tricks and tools at her disposal to do this. Firstly, the rats don’t go near fire so to make her way through the sea of rodents she’ll use different sources of light to weave out a path. Her best way of doing this is by using her sling. The sling can fire igniters that will set torches and bails of hay ablaze, sending the rats away. She can also find sticks and use them as torches, or use other moveable sources of light to get through. The sling also comes in handy when dealing with soldiers. Rocks can be fired either at soldier’s torches so when their light goes out they will be ceased upon by rats and eaten alive or by simply flinging them at the soldier’s heads and knocking them out cold. There are also other environmental puzzles that will require the help of your companions to get things done. 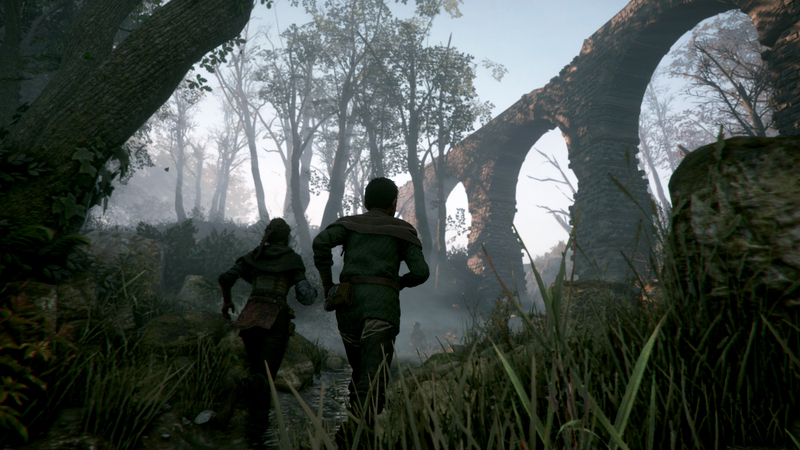 I found A Plague Tale to have a very Brothers: A Tale of Two Sons vibe about it. Both in theme, as two siblings are working in unison to survive, and also in game play with the types of puzzles that will be in their path. But A Plague Tale is taking a much darker tone. This is an atmospheric, dirty game that doesn’t shy away from death and trauma. Oh, and did I mention the rats are disgusting? What represents this perfectly is a feature of the game that was mentioned to us, though I didn’t actually get to see it. For certain tasks Amicia will have to go off on her own and tell Hugo to stay where he is, but if you stray too far away from him or are gone too long Hugo will try and get to you and will probably die in a horrific, gruesome manner. 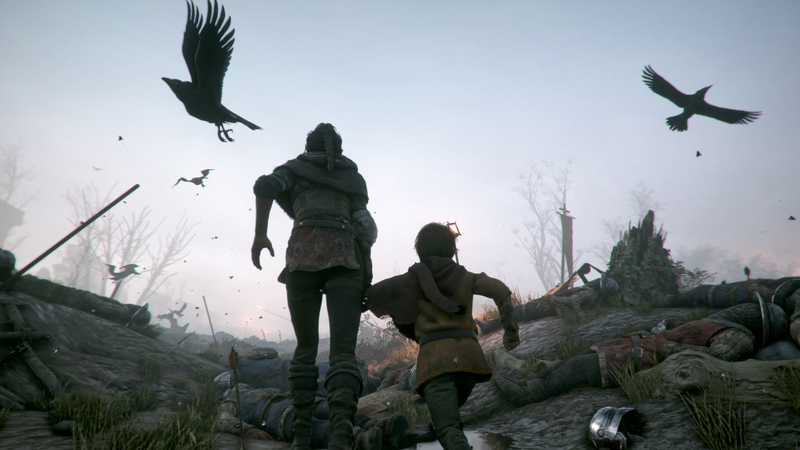 I was left thoroughly impressed with my brief look at A Plague Tale: Innocence, and with the progress made in a year since I last saw it I can’t wait to play the finished game.